S/S 2011 NYFW Beauty - Maybelline's Charlotte Willer for L.A.M.B. 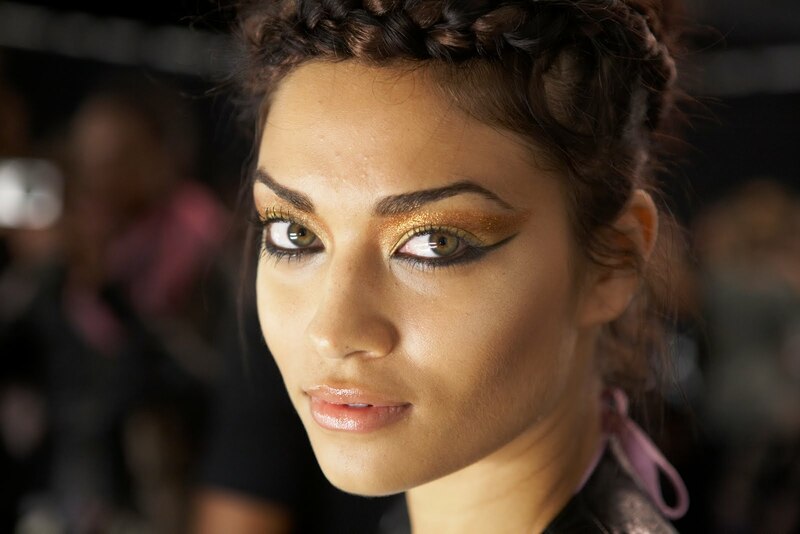 Perfectly complimenting Gwen Stefani's African-print influenced Spring Summer 2011 collection, the makeup look was titled "Tribal Punk" with a touch of glam. 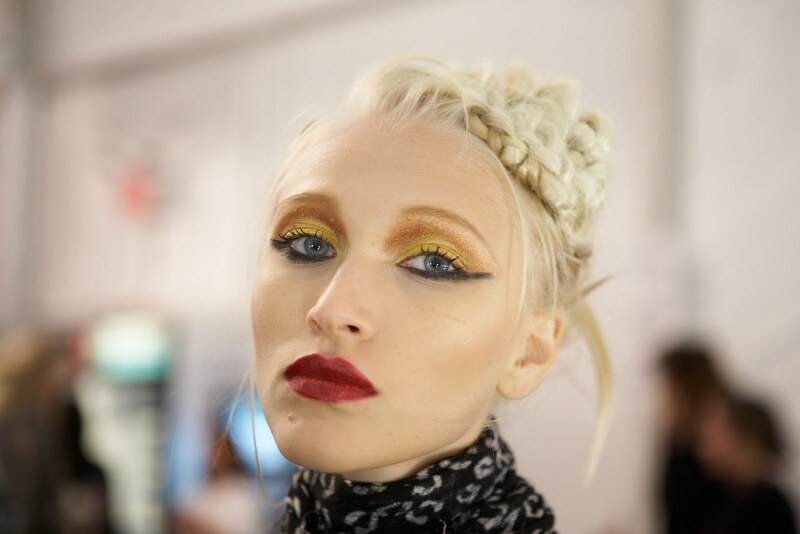 Maybelline lead makeup artist, Charlotte Willer (shown below in bottom photo) decided to create a fun take on the traditional cat eye by hyper extending the lower lash line and used bold color (yellow & gold!) to take it up a notch.